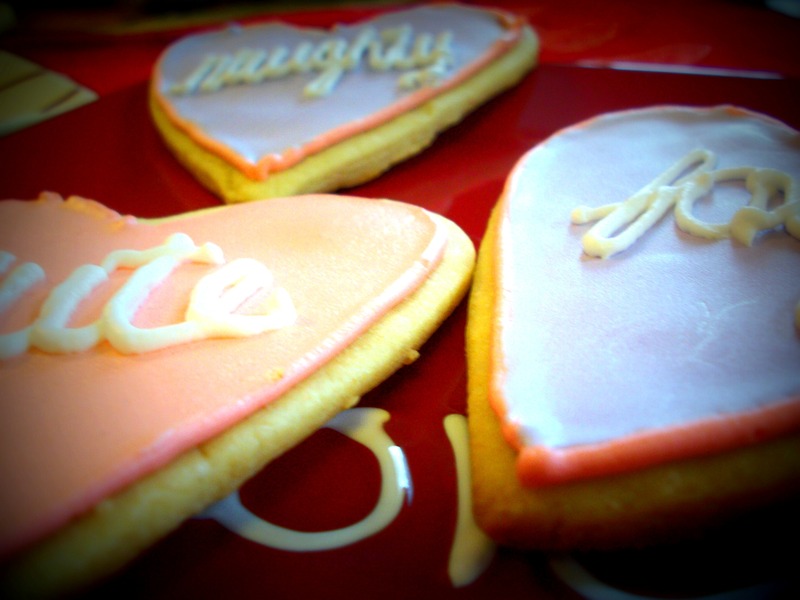 Last week I came across Bake at 350, an awesome blog by Bridget. 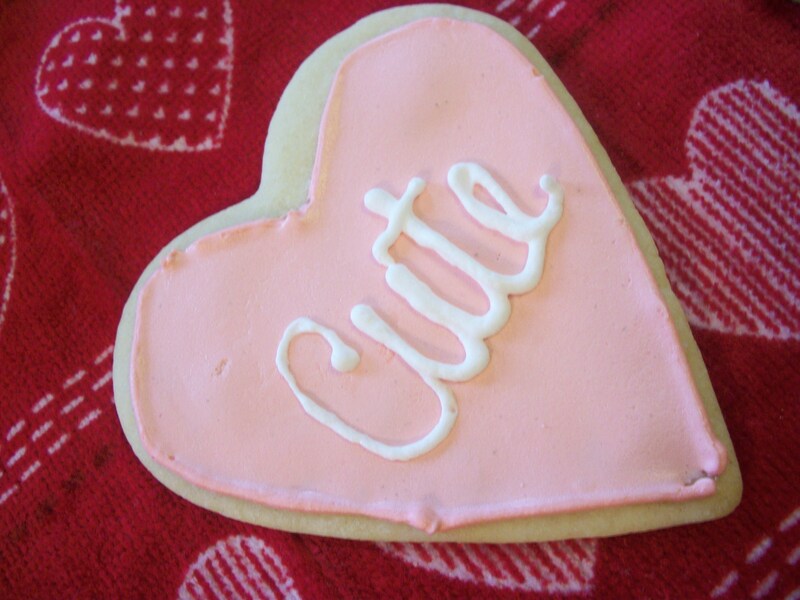 And while I’ve always been more of a cupcake girl, I also have a love for cut-out cookies. 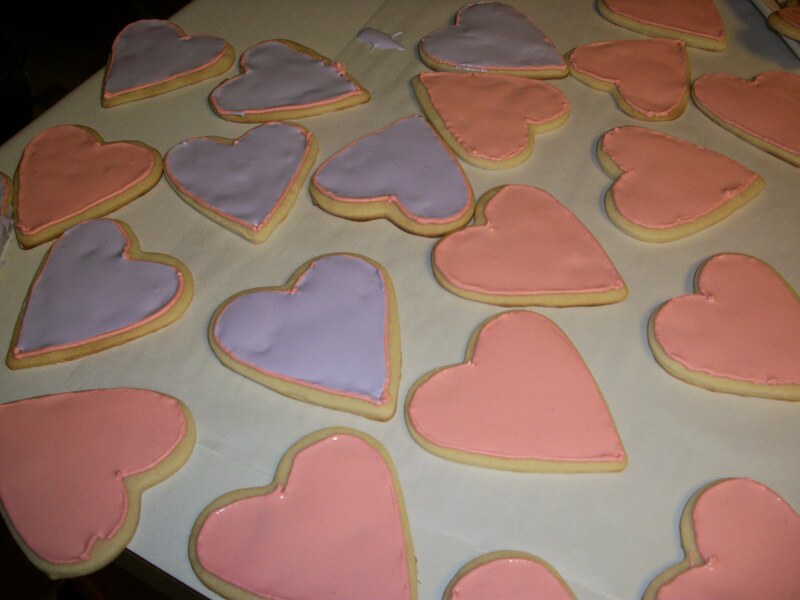 Cut-out sugar cookies remind me of Christmas time as a child. 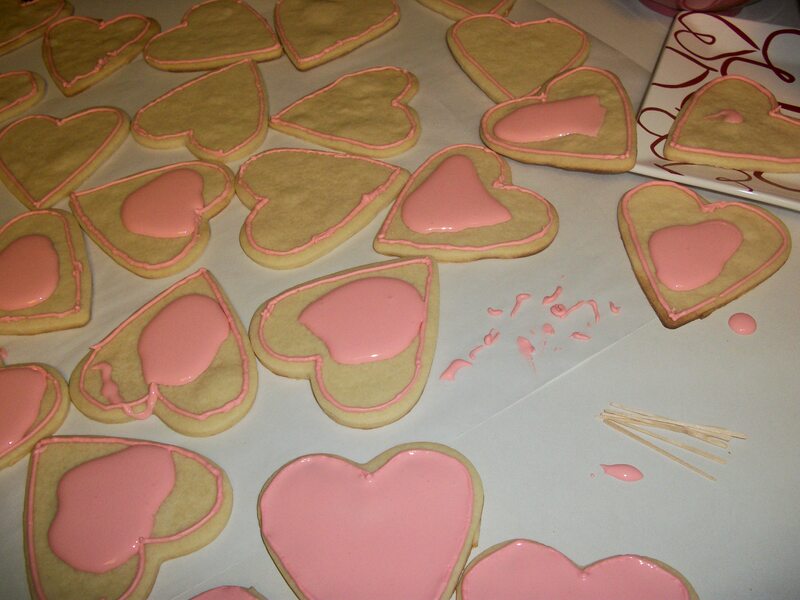 My mom and I would spend hours in the kitchen cutting out, baking and decorating sugar cookies each year. Of course, as a child, it’s all about the sprinkles and those silver ball thingies, which I now know are called dragees. 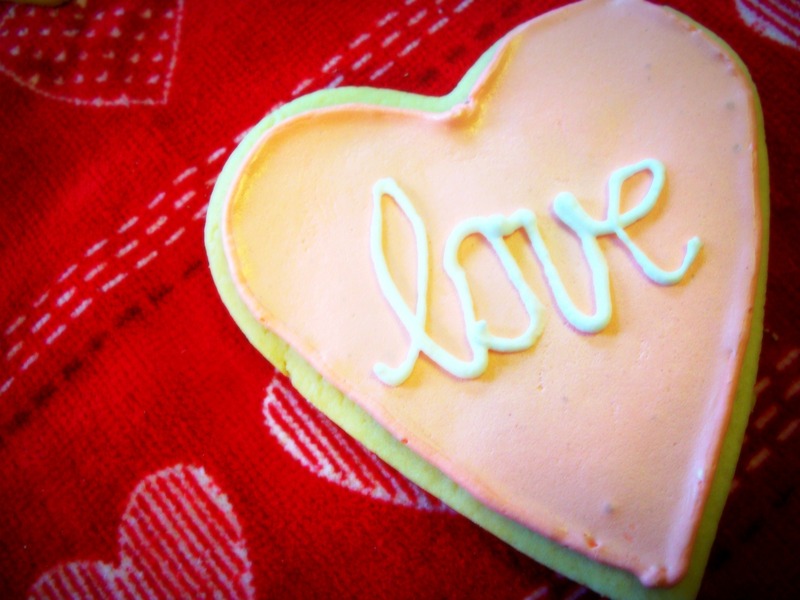 But as adult, I love to see a simple, but beautifully decorated sugar cookie. 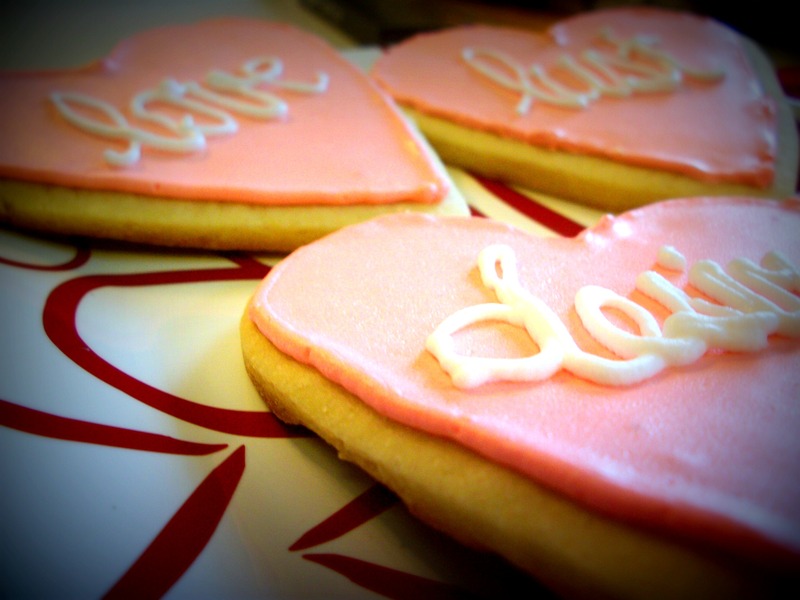 A thin layer of sweet frosting on a soft, fluffy cookie…yum! 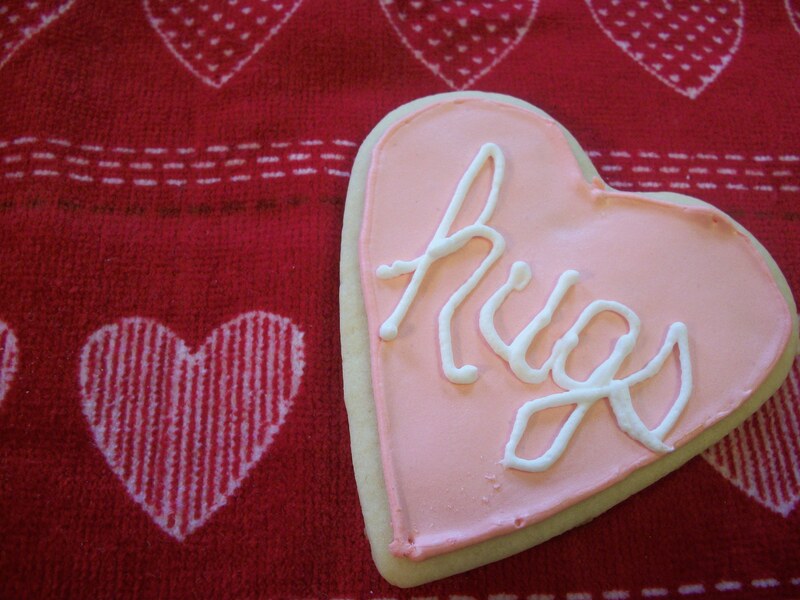 No matter what the decoration though, sugar cut-out cookies most certainly bring a feeling of nostalgia. Upon finding Bake at 350, I became fascinated with her seriously awesome decorating skills. I read pages upon pages of her blog, equally drawn in by each and every design. 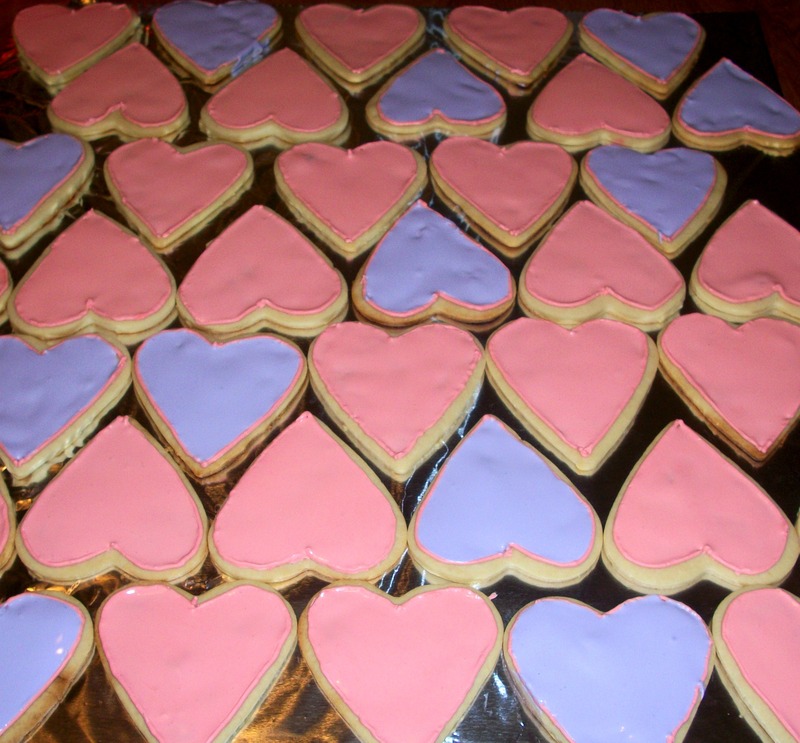 After a couple of hours of browsing and studying her icing tutorials, I had decided that I MUST make sugar cookies using her royal icing and flooding techniques. And since Valentine’s Day was right around the corner, it was perfect timing! I will take no credit for recipes here so I’ll just give you the links to her recipes and show you the pics of my cookies. 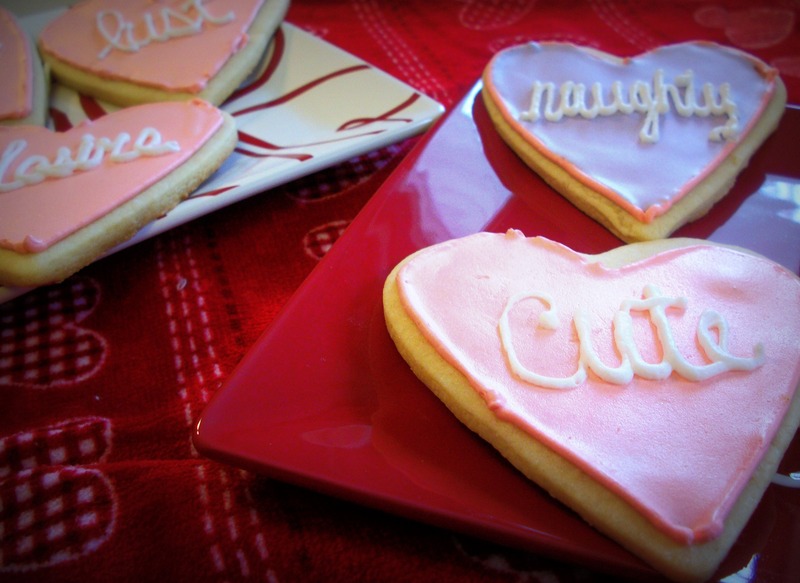 Bridget’s cut-out cookie recipe could not be more simple. I love that it calls for cold butter. Nothing worse than waiting for it to come to room temp. (Nothing good ever comes of microwaving it.) 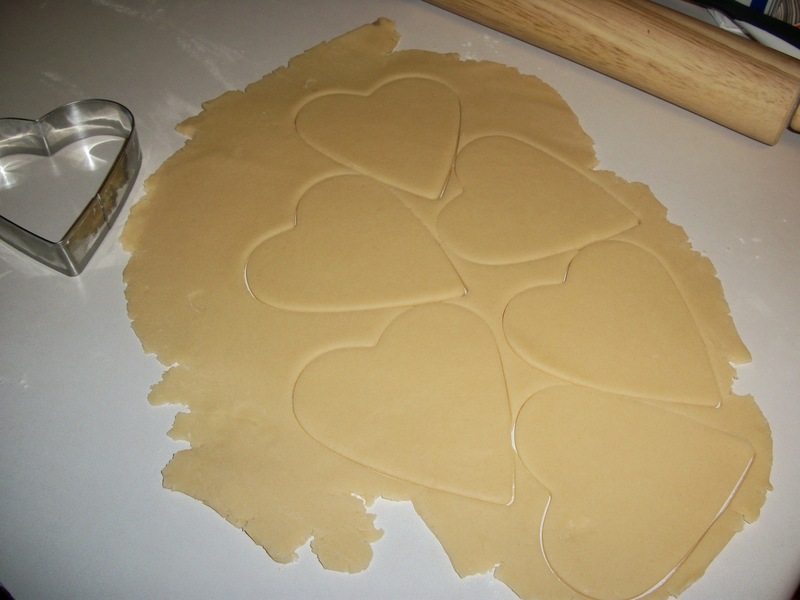 I always dip my cookie cutter into flour before cutting out my shapes. I piped my outline with a number 2 tip. I didn’t have a squeeze bottle on hand so I just poured a little blob of frosting onto a few cookies at a time and then used a toothpick to fill things in. This took a lot of time and I will certainly be investing in a squeeze bottle for next time. After flooding all of the cookies, I left them to dry overnight. No need to worry about them drying out, didn’t happen. Bridget explains in her FAQs that the icing acts as sort of a sealant for the cookies. These were still just as soft the next morning. By no means are these cookies perfect, but for my first time attempting this method of sugar cookie icing and writing, I have to say I’m quite pleased. I guess I’ll just have to keep practicing! What are your Valentine’s Day plans? Will you be doing any baking?